Ampronix is a leading display manufacturer dedicated to providing superior products that are trusted in healthcare facilities worldwide. 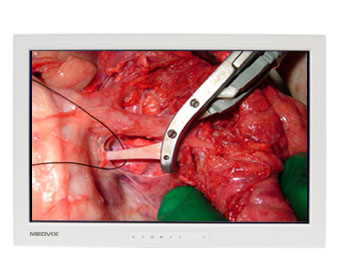 Medvix AMVX® series displays offer features and benefits for the most demanding hospitals. 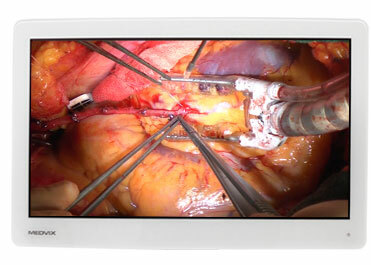 Medvix HD surgical LCD displays consists of an antibacterial-treated display enclosure, preventing biodeterioration or odor on the display. They combine unsurpassed clarity, a lightweight design that include the latest technologies to create a reliable and cost-effective way to assist in surgical and endoscopic applications. 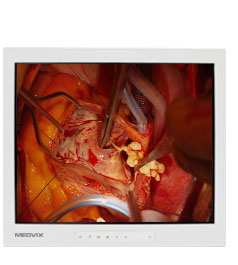 Medvix HD series surgical LCD displays are available in 19", 24", 26"